Q: I’ve just bought a sailboat that’s been sitting unattended for a couple of years. The docklines, sheets and furling line are green with algae and stiff to the touch where they have been in contact with the deck. What’s the best way to clean the crud off polyester and nylon rope? You may be satisfied by simply laying the lines out on a dock and hosing closely with the strongest jet setting on the dock-water nozzle, rotating the line as you go. A soft brush with a little laundry detergent can improve the result. Do not use a power washer or an abrasive scrubber as these will damage the line. If you have access to hot water, soaking the lines in a bucket of hot water with a capful of laundry detergent added can lift deep grime. Agitate by hand and rinse thoroughly. Some sailors add fabric softener to the rinse water. However, do not use bleach, as even a short exposure weakens the line. Also, do not put rope into a washing machine, even inside a bag. 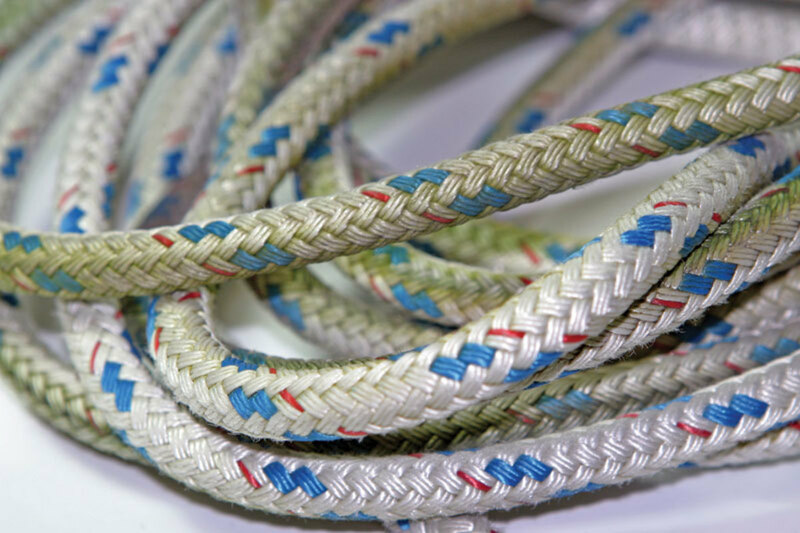 While machine washing is effective, odds are about 90-to-10 that the line will come out a tangled mess, and about 50-50 that it will be ruined—hockled if it is three-strand and herniated if it is double braid. Damage to the machine is also a very real possibility. Soaking in mild detergent and freshwater is slower, but safer and will give the same result.